As the snow continues to fall outside, we've got visions of hot cocoa and cozying up by warm a fire running through our head. 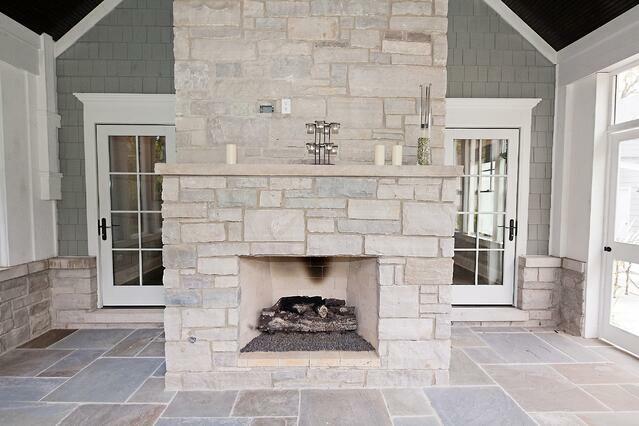 Perfect day to take a look at our roundup of fireplace designs. From traditional to transitional, stone to marble - there are so many options for our clients to consider when they are making selections for fireplace surround. 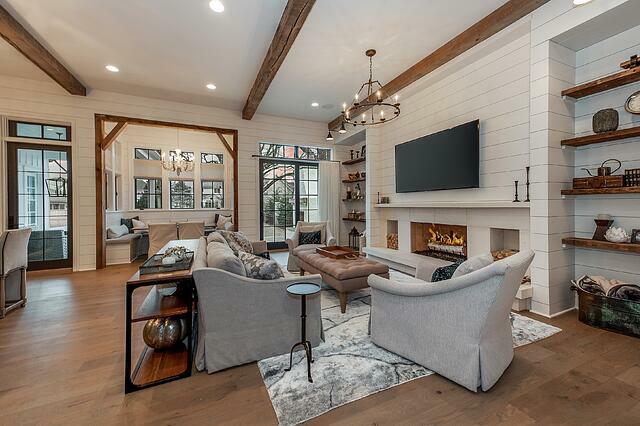 And from the style of the hearth to the accent touches or custom carpentry surrounding it, the choices here really afford an opportunity to create a focal point and statement in the room. 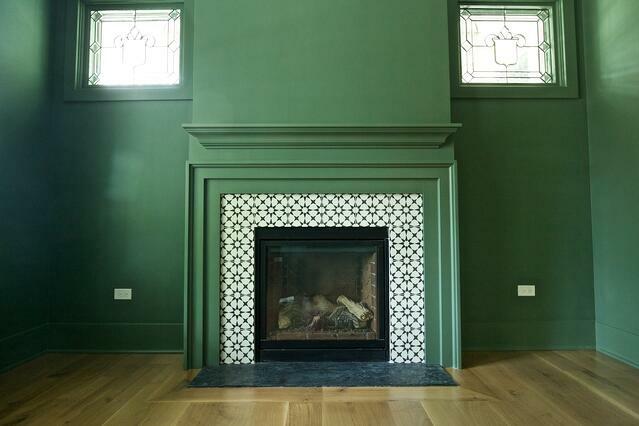 We've only just scratched the surface on all of the fireplaces we've done, but hope it leaves you feeling inspired! 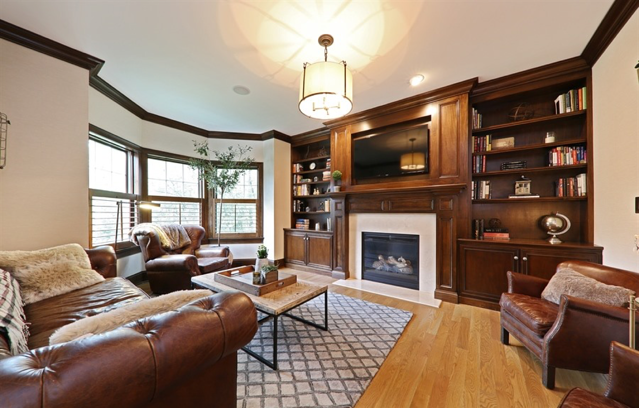 Most people think first and foremost of the family room when considering a fireplace, but basements, offices, master bedrooms and porches shouldn't be overlooked. 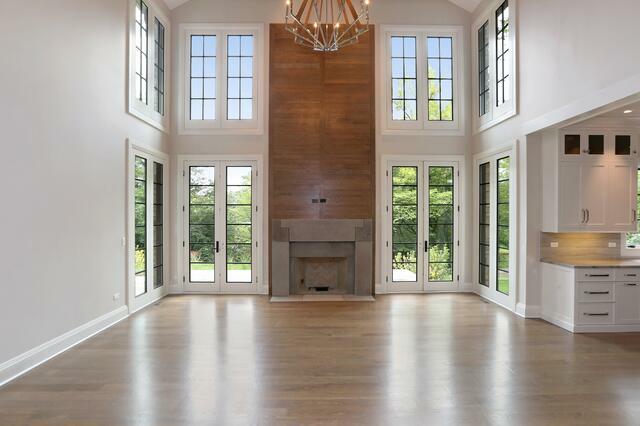 Soaring ceilings beg for something dramatic to be done with the fireplace design. 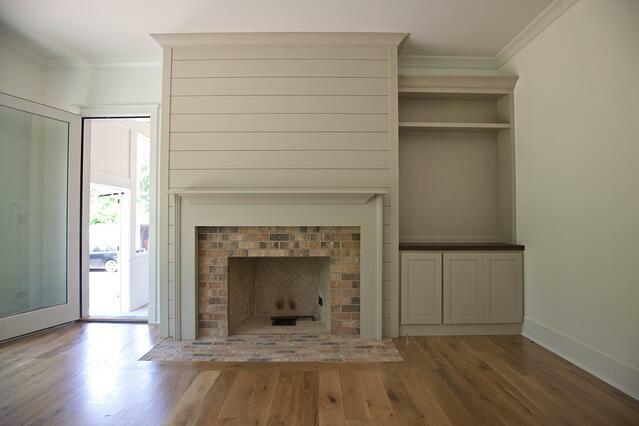 Shiplap adds a casual sophistication to this fireplace. 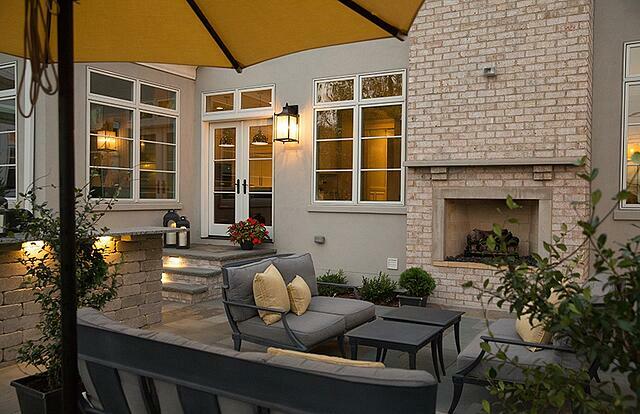 We love the paint color combined with the brick for added warmth (no pun intended). 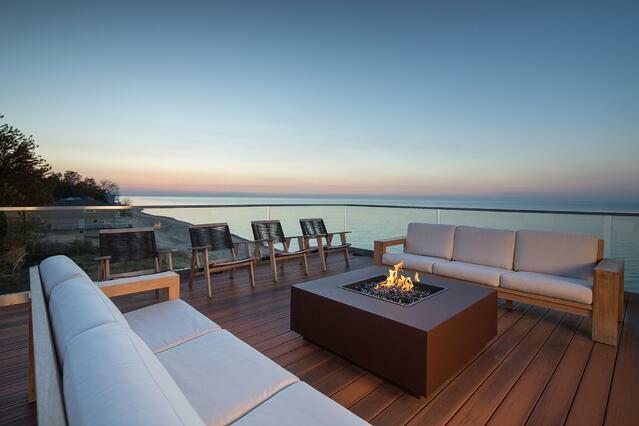 We realize no one is digging out to enjoy an outdoor fireplace now, but they sure are showstoppers for warmer (snow free) days. Stone and reclaimed wood - so many great natural elements pulled in here! Color and tile with personality come together to make the beginnings of a cozy, warm library room. 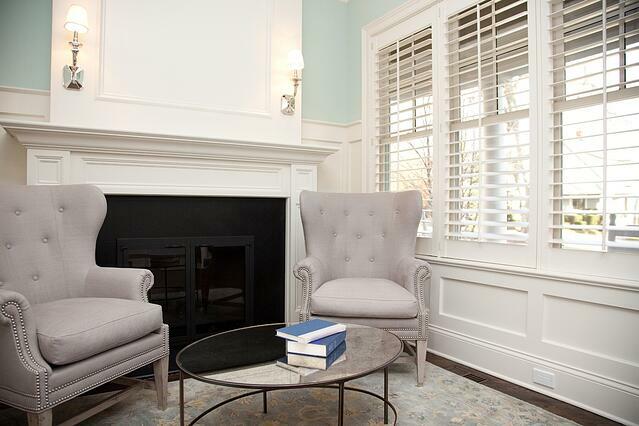 Can't you just see a comfy leather chair and a good book in this room? 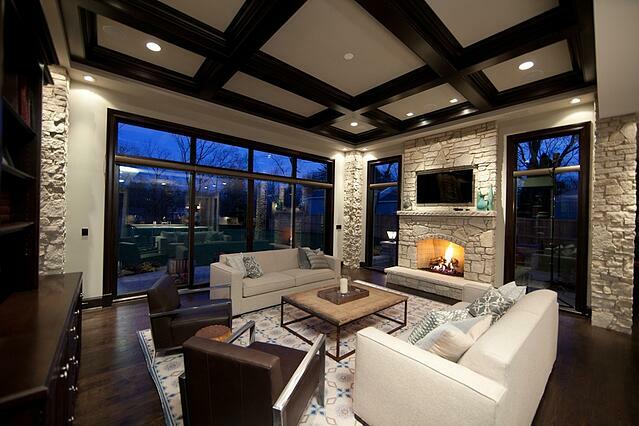 Modern or Traditional? There's a surround selection perfect for either. 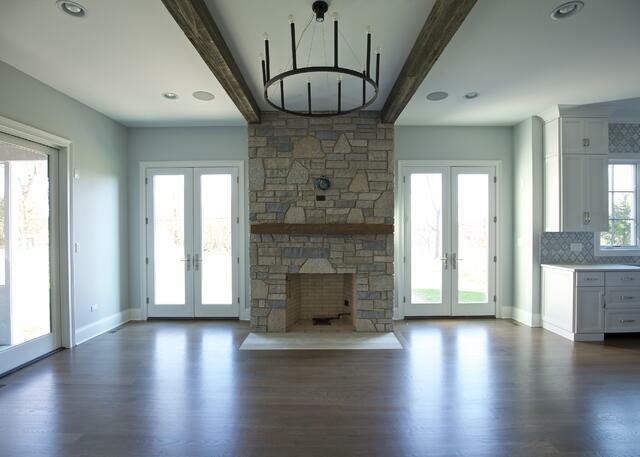 Fireplace design is just one of the many ways that building a custom home gives you the chance to truly personalize your home. Bring us your ideas - we can't wait to build your unique new construction home for you.